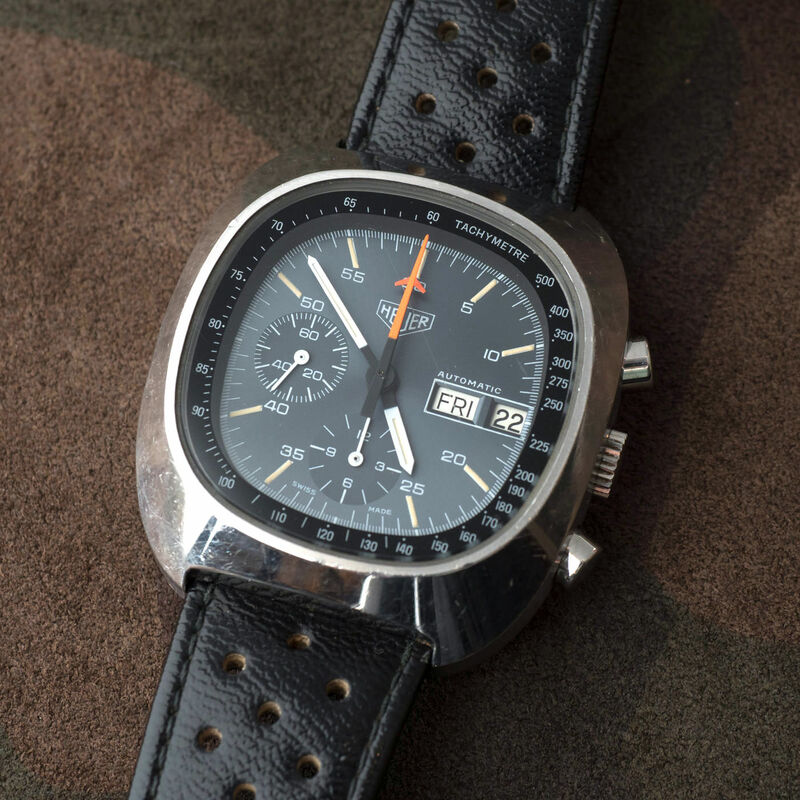 Heuer’s original TV-case Silverstone is an icon of 1970s race-timing and Heuer itself. Often seen on the wrist of Lauda’s F1 team, it has a certain magnetic appeal. Often forgotten, however, is the reference that design culminated in. In 1983, Heuer utilized Lemania’s 5100/5012 workhorse to create this, the 510.403 Silverstone. It was never featured in the same glamour as the original, but the 5012 Silverstone did sustain the brand in its roots through the quartz crisis. It also happens to have a totally unique and supremely cool aesthetic not seen anywhere else in the brand. I’ve never come across another case with this same appeal. The split hand design is unique in this generation Heuer. They’re exceptionally rare when compared to the original as well. Appropriately enough for this uber-niche reference, this example comes out of Japan from seller Arbitro watches. The condition speaks for itself. The block of a case is not polished. The movement is clear. The dial hasn’t aged a day. It is not complete with box and papers, but it is photographed appropriately with a badass leather jacket. Find it here for 398,000 Japanese Yen, Roughly 3800 USD equivalent.